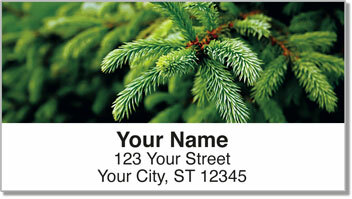 Evergreens are a symbol of long life and creativity. They are also one of the most important trees in North American history. The white pine was abundant in the northern regions, and lumber from pine trees was one of the first exports out of New England. Before the flag featuring stars and stripes came to be, flags of the American Revolution often depicted a solitary pine. 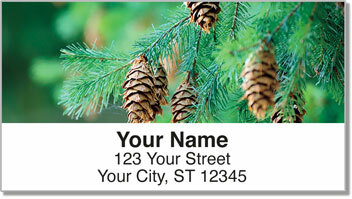 This return address label design displays the beauty of an evergreen tree with close-up photography of its branches as well as pine cones. It's an attractive finishing touch that has an exquisite natural feel. 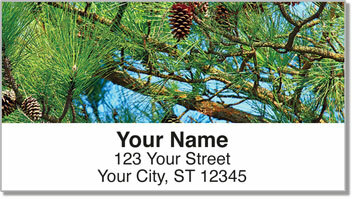 But what you'll really enjoy about your new labels is how they make the task of preparing outgoing mail quite simple. Just stick one of them on every envelope and you're done! 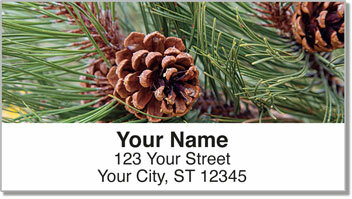 Get your very own Pine Tree Address Labels today! Complete the order with set of matching checks.